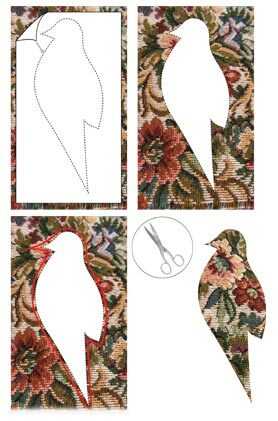 Valentine's Day Picnic Set - "Lovebird"
Cut out two fabric pieces of 8x14cm. and put them together with front of the fabric facing out. 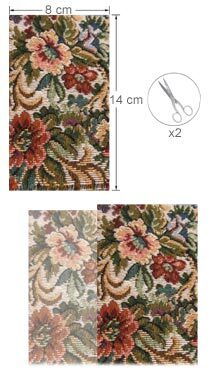 Print out the pattern in this step and apply double sided tape to it. 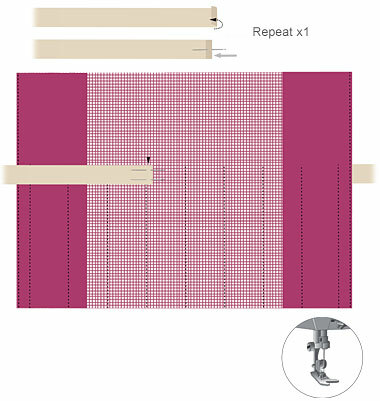 Place the pattern onto the fabric and stitch along the outline marked in red as shown. 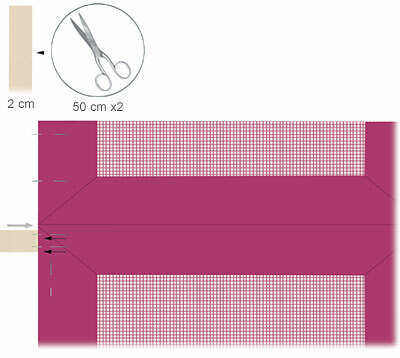 Remove the pattern and cut the pattern out of the fabric leaving a 2mm distance between the sewing outline and the cut. 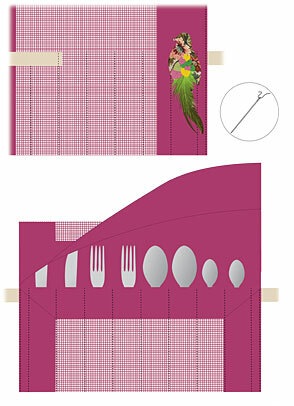 Fold the bottom part of the place mat to 1/3 of its total length and then fold the top part up to 1/3 as well, as shown in the illustrations in this step. 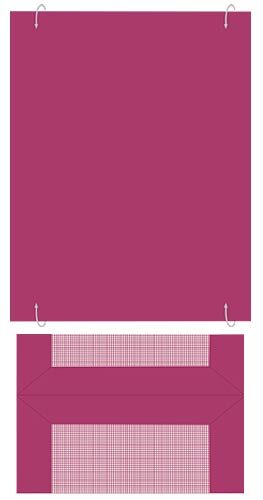 Cut two 2cm cotton ribbons to a length of 50cm each and place one of them in between the folded piece of the mat and attach using pins. Repeat on the other side as well as shown. Stitch the left side completely and the right side partially until it covers the bottom fold completely. The top fold shouldn’t get stitched. 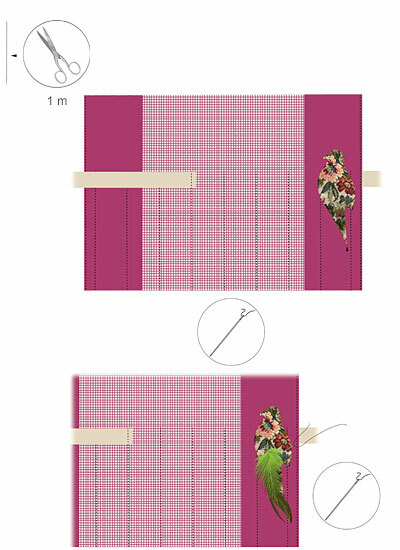 Stitch the bottom fold using the measurements shown in the illustration in this step (place needles to remind you of the gaps required in between each stitch). 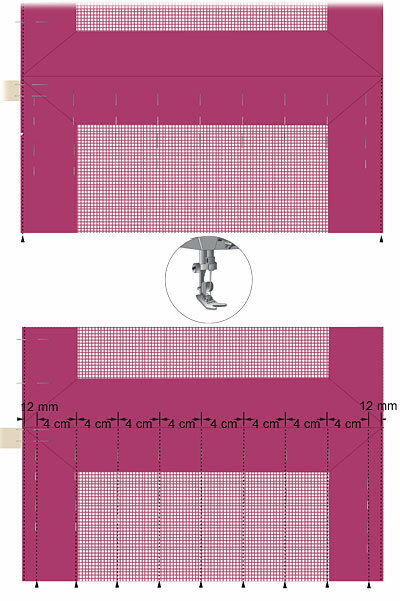 Fold one edge of the other ribbon twice inwards. 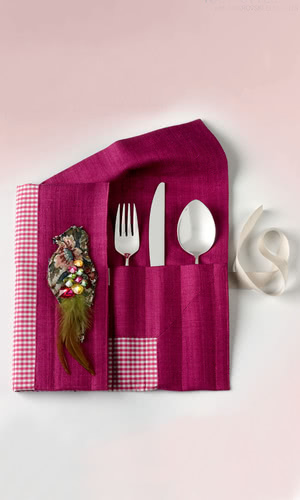 Place it on the back side of the place mat using pins. Stitch the end of this ribbon to the mat as well. 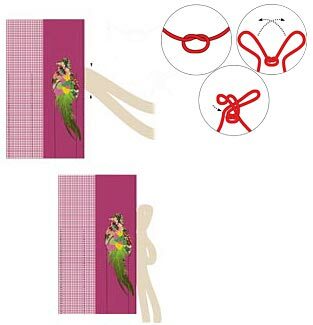 Cut 1m of the transparent nylon thread and stitch the earlier cut out bird to the extreme right end of the mat as shown in the illustration in this step. 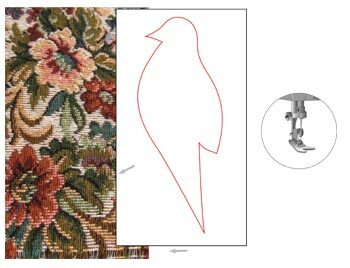 Also stitch the feather piece towards the bottom of the bird as depicted in this step. 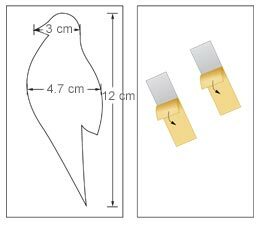 Stitch Swarovski crystal onto the bird and feather. Turn the mat over and insert cutlery into the created slots. Tie a bow with the two ribbons from both sides of the mat.